The King is back! That's right, the famous man from Memphis has returned in the form of your child, crooning along to every one of the hits. You can't help falling in love with this kid as he takes you back to a time when Elvis was the king of rock and roll. The gyrations, the charisma, the velvety voice will have you all shook up! You'll rush into the living room expecting the find the king himself only to discover it's your own child who is shaking the world with his skills. He ain't nothing but a hound dog, but you'll love him anyway. And if that kid of yours ever gets grounded, he can stay in his room until he's ready for the (yup, you guessed it) jailhouse rock. But Elvis isn't all singing and dancing all the time. The pelvis needs to rest, and when it does, your boy will be ready for some peanut butter, banana, and bacon sandwiches! Get that southern food a'cookin' so your son will be recharged for another round of entertainment. Just don't step on his blue suede shoes (we're serious, he loves those blue suede shoes. Don't ask us why!). You'll also need to get him a pink Cadillac. Elvis has an image to maintain, after all! 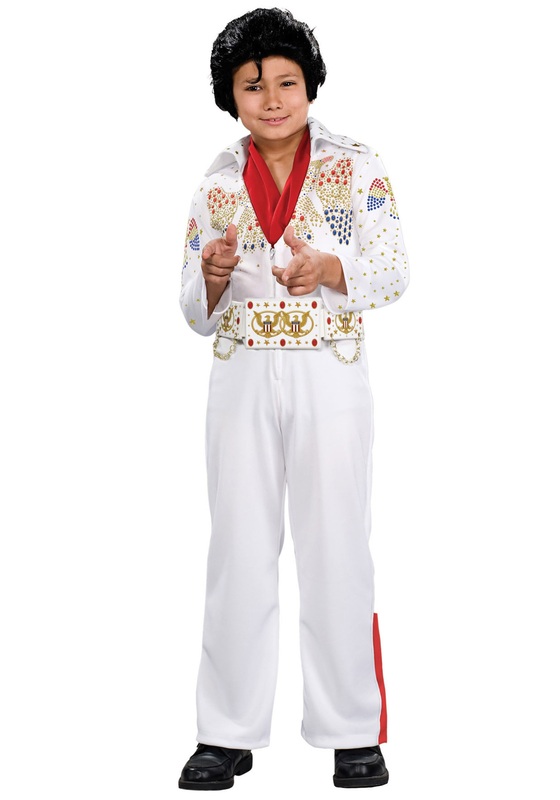 And if your kid really has that Elvis magic, well there's a chance he might meet Nixon! So what are you waiting for? It's time to crown the new king of rock and roll. Go, cat, go!